The Rabbinical School curriculum is a rigorous academic program that leads you on a five- or six-year journey of acquisition of knowledge and growth..
Its thematic and practical approach nourishes your mind and spirit as you prepare to serve in the world as a rabbi. You’ll graduate having encountered the essential texts for today’s rabbinate, the skills for lifelong learning and leadership, and a love of Talmud Torah. As the foundation of our tradition and the primary text you will teach as a rabbi, Chumash (Five Books of Moses) is a pillar of our curriculum. Each year, you will study one book of the Torah in depth, learning to interpret it contextually as well as examining a range of commentaries from ancient Midrash and classic medieval mefarshim (commentators) to Chasidic masters, feminist readings and contemporary literary analysis. Never far from our learning is the question of what the text means for us today. Torah classes generally meet twice a week, with preparatory time in the Beit Midrash prior to each session. The rabbinics curriculum is a core pillar of the learning. It covers major topics relevant to serving as a rabbi today. It is anchored by the Talmud sequence and studies selections from one order of Babylonian Talmud each year. The yearly Talmud theme features courses in halakhah (Jewish law) connected to it. Emphasis is placed on learning content, the skills to be a lifelong learner of Talmud and halakhah, and questions of meaning and relevance to contemporary life. Talmud classes generally meet twice a week with preparatory time in the Beit Midrash prior to each session. Halakhah courses generally meet once a week with preparatory time in the Beit Midrash prior to each class. Courses on the siddur and theology help students both gain knowledge and develop their personal views about a relationship to God and prayer. A Jewish Thought sequence introduces you to some of the major thinkers and trends in Jewish thought within their historical contexts, from the rabbinic period up to today. Core classes and electives offer opportunities for intensive exposure to the foundational teachers in and approaches to Jewish mysticism. Knowledge of Hebrew is the key to unlocking the sacred texts of Jewish tradition. In the preparatory and first years of the program, you will take intensive Hebrew and Aramaic courses that are integrated with core text classes so that you gain the knowledge and skills to learn sacred texts in the original Hebrew. Whether you’re interested in working in a congregation or Hillel, hospital or clinical setting, communal organization or educational institution, our professional development classes and experiences are individualized and prepare you for the varied nature of rabbinic work in the 21st century. 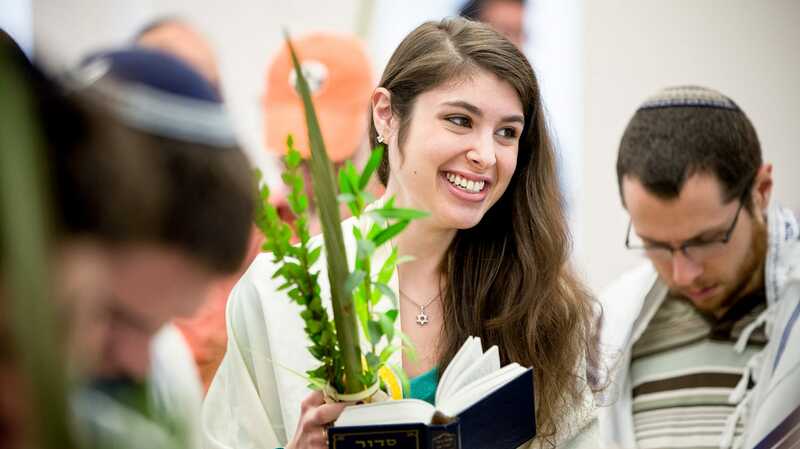 During the final two years of rabbinical school, students have the opportunity to specialize in one of the numerous professional tracks offered. Courses are taken as electives. There is no additional cost or additional time in school. 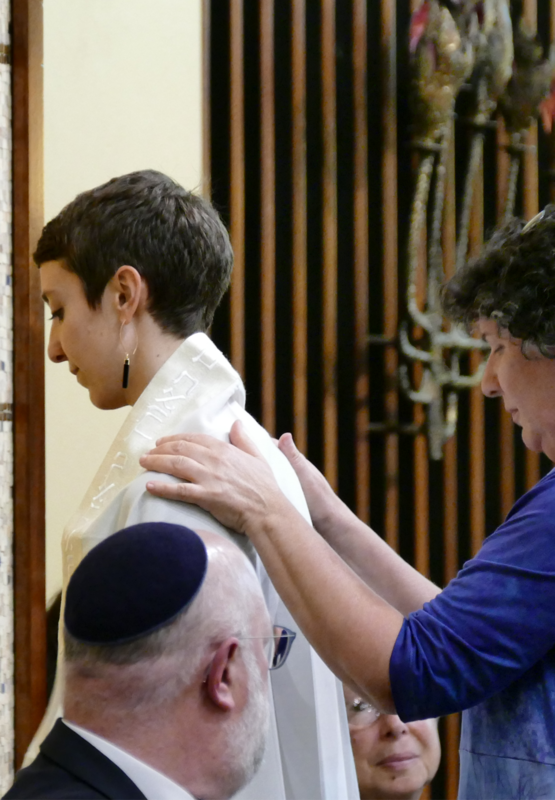 In addition to rabbinical ordination, rabbinical students have the option to pursue a Master Degree in Jewish Education, offered in partnership with the Shoolman Graduate School of Jewish Education at Hebrew College. This program combines academic coursework and supervised fieldwork to prepare rabbis for careers in Jewish education. Within this program, students may choose from one of several specializations. This program, offered in partnership with Boston Theological Institute (BTI) and Hebrew SeniorLife, provides academic and clinical training for students seeking to pursue a rabbinic career focused on counseling and pastoral care. Drawing on the wisdom of Jewish texts and traditions, as well as the insights of current scholarship in psychology and pastoral care, students gain the skills to accompany people through crisis points in their lives with sensitivitypsychological knowledge and insight, and spiritual depth. We live in a world that is deeply in need of Jewish clergy and leaders who can identify and address pressing issues and injustices and organize and inspire individuals and communities to bring forth transformative change. 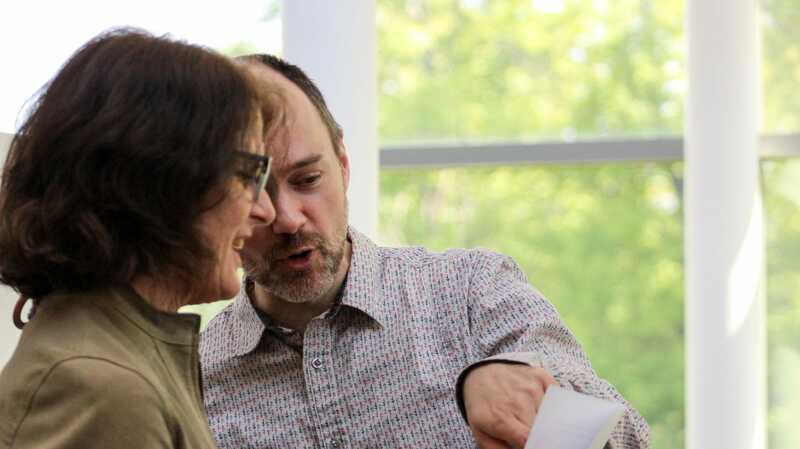 At the Rabbinical School of Hebrew College, our commitment to the inner life is coupled with a deep and passionate sense of communal responsibility. This specialization weaving together coursework, internships, retreats and mentorship – . prepares students to bring Jewish wisdom to bear on the most pressing issues of our time, and develop the capacity to effect change through communal action. The program also recognizes and emphasizes the critical role of spiritual growth and support for effective and enduring social justice work. In conjunction with the Hebrew College School of Jewish Music, rabbinical students may specialize in Jewish Sacred Music. 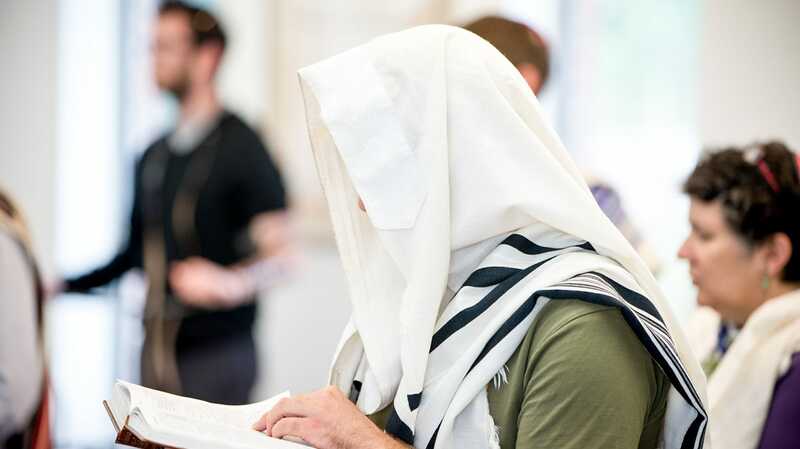 This specialization is designed to train individuals to become cantorial soloists, sh’lichei tsibbur (prayerleaders), ritual directors, and Jewish educators who may be called upon to lead or teach tefillah in their synagogues. Students receive a basic grounding in nusach ha-tefillah cantillation, liturgy, Hebrew language, and synagogue skills relevant to the leading of prayer. This Mekorot course is an overview of Tanakh, focusing on biblical narrative and legal discourse. One session each week is devoted to building Tanakh text reading skills. In this Shanah Aleph course, students engage in close readings of Bereshit, paying particular attention to the dynamics between the matriarchs and patriarchs. Students hone their Hebrew text-reading skills, and are introduced to the basics of medieval commentary, with a special focus on Rashi and his midrashic sources. In this Shanah Bet course, Shemot is studied as the national saga of the Jewish people. In addition to a close reading of the text, students study the midrashic uses of the biblical text in the halakhic and aggadic development of Judaism, as well as the importance of the Exodus and Sinai motifs in Jewish theology. This course introduces the major literary prophets Isaiah, Jeremiah, Ezekiel and the Book of the Twelve. We examine the place of the prophets in biblical history, their theological and political roles, and their enduring literary and moral stature. In this course students engage in a deep reading of three of the Five Megillot: Esther, Song of Songs, and the Book of Ruth. We consider the historical context and genre of their composition, as well as their significance with respect to the liturgical year (Purim, Passover, and Shavuot). Standing at the very center of the Pentateuch, Vayikra reveals the priestly view of the relationship between God and Israel, and the interconnected dimensions of sacred time, space and person. In this Shanah Dalet course, students study major themes of Vayikra, applying insights from anthropology, comparative theology and other contemporary disciplines, but with a main emphasis on a careful reading of the text. This Shanah Dalet course draws on historical-critical approaches as well as classical Jewish parshanut (commentators) to study Bemidbar in-depth. It addresses themes such as the role of census, tribal encampment, trials in the Wilderness, challenges to leadership and prophecy. This Shanah Heh course examines the book of Deuteronomy as a source of Jewish religious teachings and values, including readings from midrashic, medieval and modern interpretive sources. It also discusses the place of Devarim in the emergence of rabbinic Judaism, including halakhic, ethical and devotional dimensions. This first-semester Mekorot course is an intensive introduction to the form and content of the Mishnah, the first code of rabbinic law. Students will gain familiarity with classical rabbinic syntax, key concepts, and frequent forms of rabbinic teachings, building a foundation for further study of rabbinic literature. In this second-semester Mekorot course, students learn the skills of analyzing a variety of Talmudic texts, aggadic and halakhic. Students will learn basic Talmudic terminology, including a glossary of Hebrew and Aramaic terms and concepts, and how to use dictionaries, concordances and other reference tools to decipher and understand a Talmudic sugya (dispute). In Shanah Aleph, students do an intensive study of selections of Massekhet Berakhot. Coursework covers essential themes in the field of liturgy while building skills that are necessary for reading, understanding, appreciating, analyzing and participating in Talmudic discourse and for accessing the full range of classical rabbinic sources. Students do an intensive study of topics from Seder Mo’ed, focusing on the theme of separating and sanctifying time. Students examine essential talmudic sources in Seder Nashim. 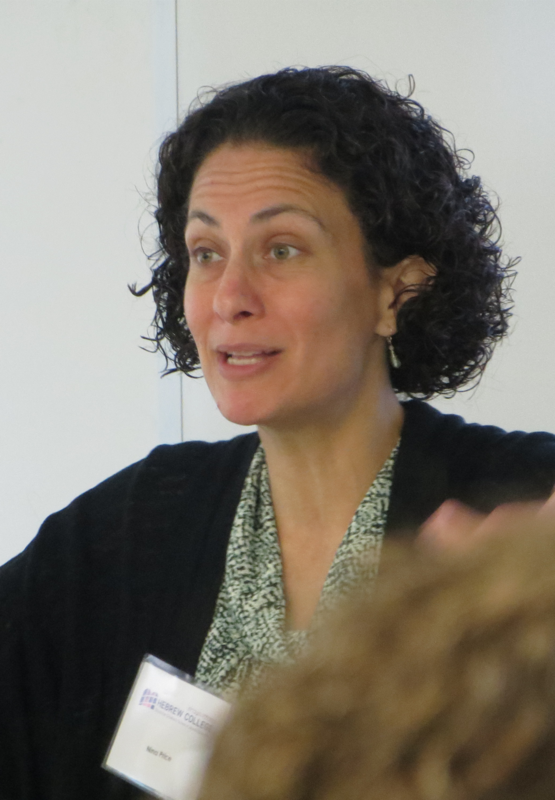 Courses comprise an introduction to classical rabbinic concepts, categories and practices concerning the roles and status of women and men and as a basis for analyzing issues that surround gender roles in contemporary Jewish practice. Students do an intensive study of talmudic sources in Seder Nezikin. Courses explore the rabbinic conception of the human being, the construction of the court system and civil responsibility. This course introduces students to basic sources, practices and complexities of Jewish lifecycle rituals and the Jewish sacred calendar. Students will gain fluency in the essential terminology of these rituals and of the Jewish calendar and will explore multiple approaches to Jewish ritual observance. This Shanah Aleph course provides an introduction to theories of halakhah and halakhic literature, contextualizing halakhah within a wider world of legal theory as well as examining its particularly Jewish expression of law. This course introduces students to primary halakhic texts relating to tefillah, with a particular emphasis on personal practice and prayer leadership. Students in Shanah Bet, Gimel and Dalet are grouped by level for Talmud and halakhah courses. During these three years, students move through a cycle of themes based on orders of the Talmud: Mo’ed (Sacred Time), Nashim u’Gevarim (Women and Men) and Nezikin (Damages). During the Mo’ed year, students study Hilkhot Shabbat. The course delves into the laws and traditions of the Sabbath, using this material as an example of how to read and research the halakhic codes, especially those of Maimonides and Joseph Caro. During the Mo’ed year, students also take this course which focusses on the festival laws as a means to examine basic issues in the workings and historical development of halakhah. 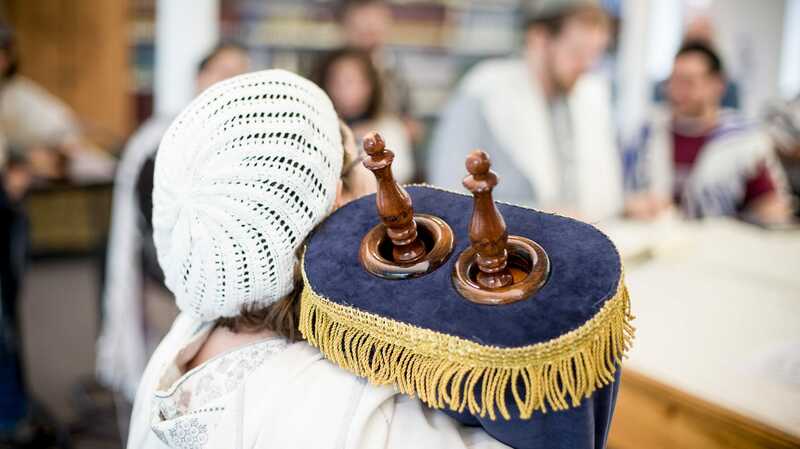 Students take this course during the Talmud Nashim u’Gevarim year, With a view toward practical rabbinic applications, this course surveys the essential rules and regulations that traditionally govern marriage ceremonies and divorces. The course also considers present-day innovations, challenges and opportunities. Again with a view toward practical rabbinic applications, this course, taken within the Nashim u’Gevarim year, surveys the essential halakhic concepts for performing funerals and guiding the bereft through the stages of Jewish mourning. During the Nezikin year, students take this course which gives an overview of the laws of kashrut with includes a study of classical sources and attention to contemporary concerns. This course, taken in the Nezikin year, will introduce students to some of the central laws surrounding labor. As we examine classical Jewish law on such topics as day labor versus contract labor, fair pricing and negotiation, we will also connect these topics with key contemporary questions about labor law. An introduction to the structure and content of Jewish prayer for Mekorot students, this course focuses on weekday and Shabbat liturgy. Students also work on their capacity to read the liturgical text with fluency. In Mekorot, students learn about the diversity and development of Judaism in the ancient world. Course time is also devoted to the first century of the Common Era that saw the birth of Christianity, the destruction of the ancient Jewish state and the beginnings of rabbinic civilization. In this Shanah Aleph course, students investigate varied traditional and contemporary approaches to and styles of Jewish prayer, the inner life of prayer as taught by various masters, and the theologies that underlie prayer and proceed from it. This course for Shanah Aleph students considers concepts and articulations of the nature of God, Creation and Revelation as they developed from biblical through medieval times, including consideration of rabbinic, philosophic and kabbalistic sources. In this Shanah Bet course, students explore the Jewish sacred calendar both in its historical origins and in the fullest context of later interpretation, from early midrashic sources to reflections in contemporary theology. Shanah Bet students study the classic liturgy for Rosh Hashanah and Yom Kippur, including the history of the mahzor and close reading of piyyutim (liturgical poetry). Texts will be taught in Hebrew. In this course, students read from the foundational Zionist thinkers as well as critical articles to provide context. The course provides a basic grounding in Zionist thought that will enable students to see how early Zionist debates continue to play out in contemporary Israeli society. A Shanah Gimel course, this class focuses on the writings of four of the most influential writers and leaders of the Jewish Middle Ages: Saadya Gaon, Yehuda Halevi, Moses Maimonides (Rambam), and Nachmanides (Ramban). The course will address how these individuals functioned as leaders and how their overall understanding of Judaism affected their approach to community and leadership. This Shanah Gimel course is an introduction to the Jewish mystical tradition and the reading of its central text, the Zohar. Students will be taught the symbolic language of Kabbalah and will learn to read passages in the Aramaic original. In Shanah Dalet, students explore the writings of major Jewish thinkers living in the modern era and place them in the context of their historical setting. The class focuses on the various ways these thinkers — from Spinoza to Buber — understood the dynamic relationship between inherited tradition and modern conceptions of religious life. This Shanah Dalet course continues the exploration of the Jewish mystical tradition with an introduction to the emergence and core ideas of this late 18th Century movement. The course also examines the influence of Hasidut on modern Jewish thinkers and practices. In Shanah Heh, students explore American Jewish history and thought, focusing on themes of particular importance to rabbinical students such as the emergence of denominations and the evolution of the American synagogue. During the winter breaks between the fall and spring semesters, Shanah Aleph students take a week long intensive courses that introduces them to Christianity and Shanah Bet students take a week long intensive course that introduces them to Islam. This intensives focuses on the histories, beliefs, and practices of contemporary Christian communities. The course is conducted on-site at churches and Christian organizations in greater Boston, providing students the opportunity to network with other important actors in the religious landscape and exposure to the various expressions of Christianity in Boston. Generally taken during Mekorot (foundational year), these courses will enable students to deepen their understanding of the Hebrew language, with emphasis on skill acquisition and development through the extensive use of classical and modern texts. These courses give a systematic presentation of grammatical and syntactic principles of biblical and rabbinic Hebrew (including vocabulary). This Shanah Aleph class focuses on the phonology, morphology and syntax of biblical Hebrew. This course is intended to equip Shanah Aleph students for a precise and nuanced reading of Biblical Hebrew and explores important features of the phonology, morphology and syntax of Biblical Hebrew. Students will learn the basic features of Aramaic grammar, focusing on the dialect of Aramaic used in the Babylonian Talmud. With a primary goal of building skills in accurately reading and analyzing unvocalized Hebrew texts written in the style of Rabbinic Hebrew, Shanah Bet students read short stories of S.Y. Agnon, with a close focus on language. The initiation into professional development begins in the first year of the program as students meet with the Director of Professional Development to outline an individualized plan based on the interests and skills of each student. During Shanah Aleph, students study pedagogy and educational practice with a focus on educational settings and issues for rabbis. Students learn how to counsel and perform lifecycle events in this Shanah Bet class as they study traditional ritual forms as well as contemporary challenges and ways to perform them. Sermons offer an important context for meaningful dialogue between rabbis and their communities. This course helps students cultivate skills in sermon preparation and delivery. It also emphasizes development of students’ unique voice and style as darshanim (teachers of Torah), and learning to give and receive constructive feedback. Students learn the basic skills and theory of pastoral care. The course is is offered to Shanah Bet, Gimel and Dalet students. In Shanah Dalet and Shanah Heh, students have the opportunity to connect theory to practice, working in 10- or 20-hour-per-week internships. These paid experiences have on-site supervision and mentorship. Students also have a yearly seminar which provides them with the opportunity to reflect on the internship experiences and issues in the professional rabbinate. In this Shanah Heh class, students are introduced to Jewish leadership theory and practiceto expand and concretize their understanding of how rabbis become effective and even visionary leaders. 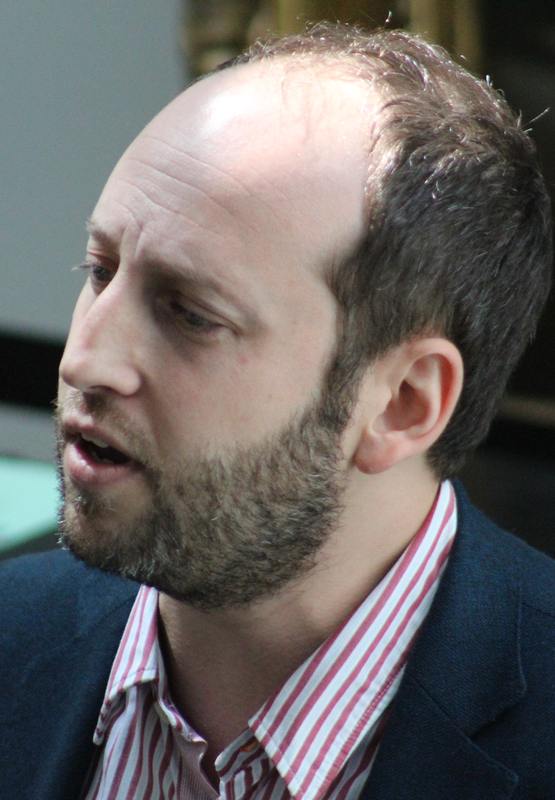 The seminar provides a setting in which some of the key issues that face rabbis as they attempt to lead can be explored. The Capstone Project is a major research paper or project that marks the culmination of students’ work in the Rabbinical School and their emergence as Rabbis. Students choose both the topic and format and work closely with a faculty advisor on the project. It is an opportunity to integrate the various aspects of their rabbinic education, linking what they have learned with whom they have become. This course will introduce students to budgeting, development, working with boards, supervision, as well as planning and assessment. Personal knowledge of and experience living in Israel is a critical component of Hebrew College’s rabbinic education. 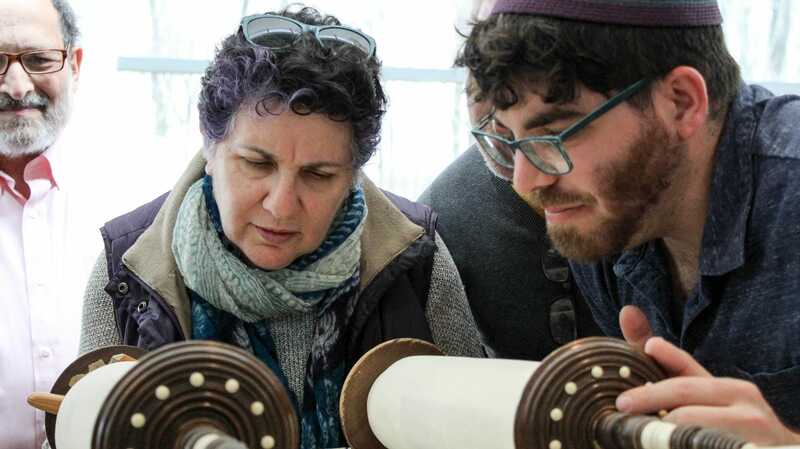 Rabbinical School students will spend Year 3 in Israel, cultivating a personal relationship with the land and its people, and engaging with the complexities of contemporary Israeli history, thought, and society. Through a combination of Hebrew language instruction, intensive text study, mifgashim (encounters) with Israelis, special seminars and tiyulim (trips) and volunteer work in Israeli communities and organizations, students gain a new appreciation for the joy, wonder and complications of Israeli culture. The classes are designed specifically to maintain continuity with the Hebrew College curriculum and community, yet give students the flexibility to study at a variety of approved Israeli institutions. In an Israel seminar, Rabbinical students learn alongside some of the country’s leading thinkers and activists from across the religious, cultural and political spectrum, gaining greater insight into Israeli life and acquiring a deeper appreciation for the important role it plays in today’s rabbinate. Throughout its history, Hebrew College has had a strong and vibrant relationship to Zionism and the state of Israel. Founded as part of the Hebraist movement, we have remained deeply and consistently committed to fostering a connection to the people, land, language, and culture of Israel as a cornerstone of our educational mission. We are particularly passionate about nurturing relationships that grow in the fertile ground of lived experience – immersive programs for our students in Israel, and intensive collaborations with Israeli partner institutions and individuals. Our attachment to Israel, and our commitment to its significance in contemporary Jewish life, continues to make a profound claim on us as Jews living in North America. We feel a sense of responsibility to help our students cultivate a connection to Israel that is rooted in a love of the Jewish people, a deep understanding of Jewish history and contemporary Israeli society, and a commitment to democracy, pluralism, and human rights. As a pluralistic educational institution nurturing learners of all ages and training Jewish leaders for the next generation, we create an open space where a diversity of views can be expressed. We seek to promote dialogue and education about Israel in a spirit of shared inquiry and mutual respect. Whether they serve on college campuses or in congregations, in schools or in other communal organizations, today’s rabbis are called upon to provide intellectual, moral, and spiritual leadership about Israel in an increasingly complex and often divisive political environment. A thoughtful, informed, and deep relationship with Israel – rooted in personal experience and nuanced study of Israeli history, culture, and society – is therefore an essential part of our training for the twenty-first century rabbinate. The heart of our approach to Israel education and engagement is our year-in-Israel program. 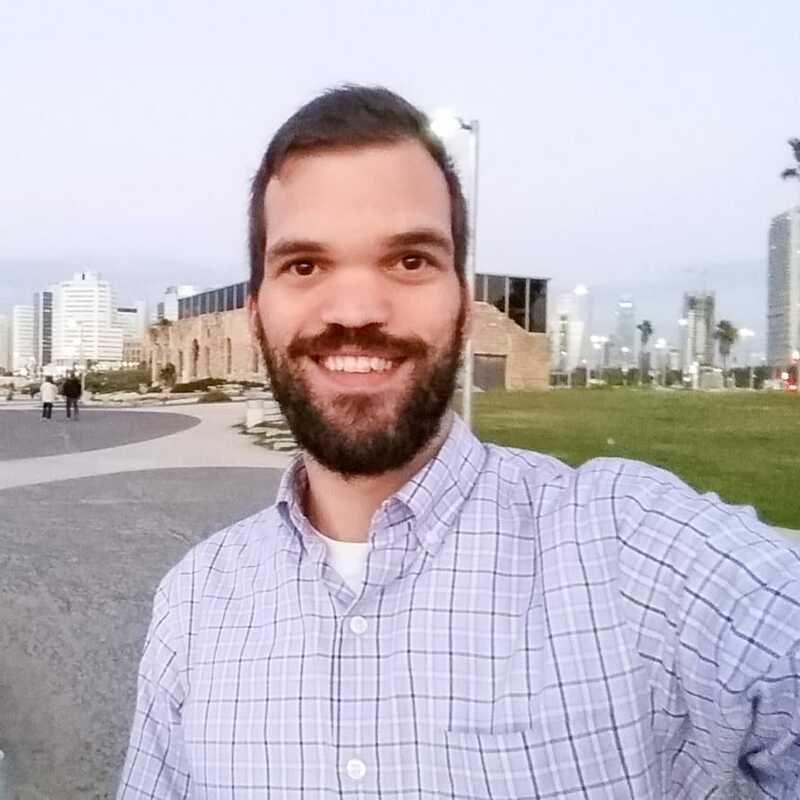 During their third year of rabbinical school, students live and study in Jerusalem, cultivating a personal relationship with the land and people of Israel, and engaging with the richness and complexity of contemporary Israeli life. Through a combination of Hebrew language instruction, intensive text study , mifgashim (structured encounters) with Israelis, special seminars and tiyulim, volunteer work in Israeli organizations, spiritual direction, and mentorship with leading Israeli rabbis, our students explore the place of Israel in their own religious lives and in their emerging visions of rabbinic leadership. In addition to our year-in-Israel program, we offer intensive dialogue and education about Israel as part of our ongoing curricular and co-curricular activities – including special week-long and day-long seminars, lectures and courses with visiting Israeli scholars, public programs on Israeli arts and culture, and annual communal observances of Yom Hazikaron and Yom Ha’atzma’ut.